The German Softball-Bundesliga opened the 2019 season this past weekend. The Freising Grizzlies welcomed the Tubingen Hawks in Germany’s top division in softball with 14-2 and 10-0 wins. The Neunkirchen Nightmares downed the Mannheim Tornados in both ends of a doubleheader 13-4 and 13-2. The Buchbinder Legionaere Regensburg defeated the Karlsruhe Cougars 6-2 and 12-5. 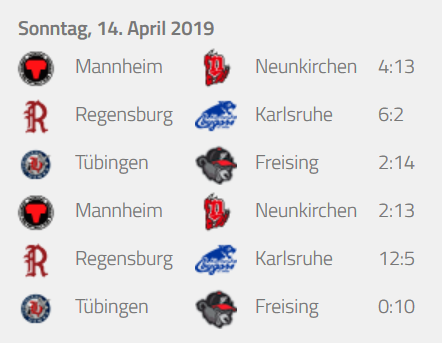 Defending champion Wesseling Vermins, the Hamburg Knights and the Bonn Capitals were off in week one.